Hey, Friends! 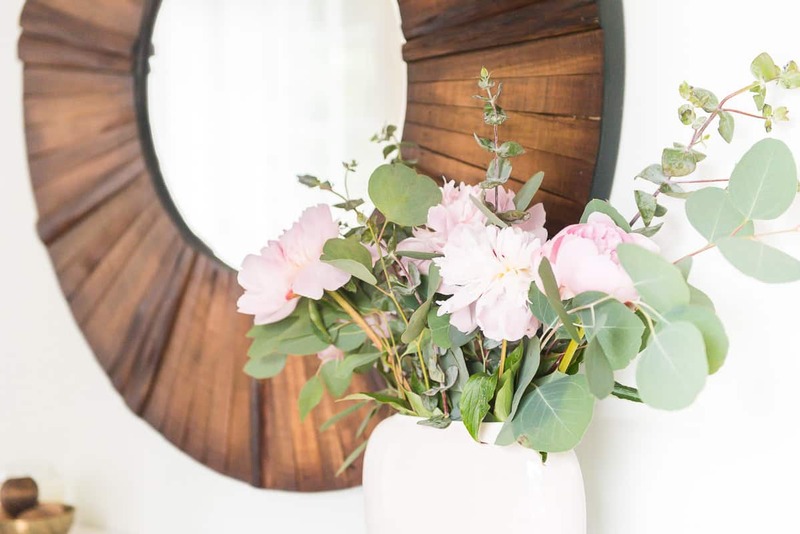 Today I am sharing a little bit of my summer decor. 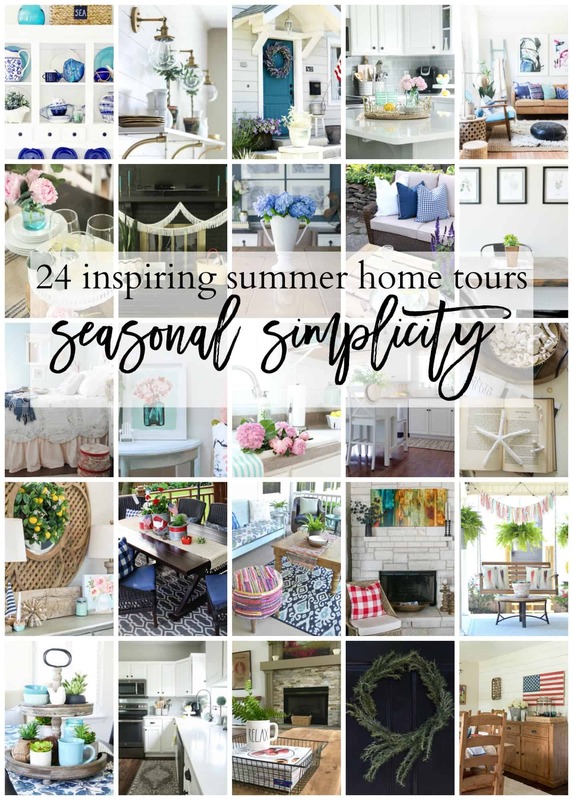 I have joined 23 other fabulous bloggers to bring you some fun summer decor inspiration. 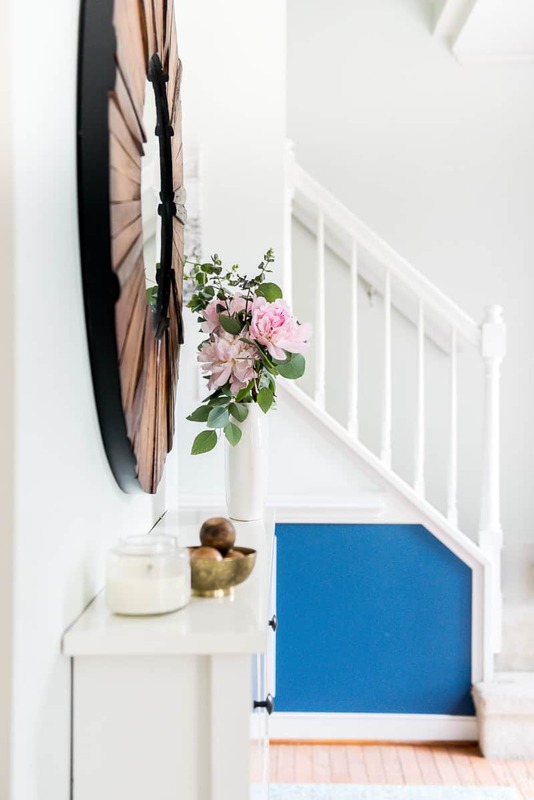 You get to visit all of their beautiful homes at the end of this post and hopefully you will walk away with a bunch of inspiration! This time around I haven’t changed many decor elements around. I kept the blue and pink tones dominate my summer vibe. I kept the large wall art pieces that I had up for Spring and I pulled out the shibori pillow covers I made last summer. I think those funky, colorful pillows added the summery vibe in here. How do you feel about the rug on rug idea? It is still going strong in my household. Some people think that’s insane to use rug on rug, but I am the biggest fan! My favorite florals! I hit Trader Joes the other day, and as soon as I walked into the store I was facing myself with hundreds of gorgeous peonies! Of course, a bouquet of pretty pink peonies had to come home with me. The smell is what gets me ALL.THE.TIME! This small entry way is always packed with sweatshirts, jackets, purses, hats, backpacks. I put away all rain jackets last week that were hanging in here and now this entryway is in its clean state. The backpacks (which you don’t see as I took the photo while my kiddos were in school) won’t be around for long either! We have few more days to go and then here comes summer vacay! And that means messy little hands will be snacking at this breakfast room table a lot in the next few months. Cousins are coming from Hungary in July, so the house will be quite full for three weeks! Can’t wait! 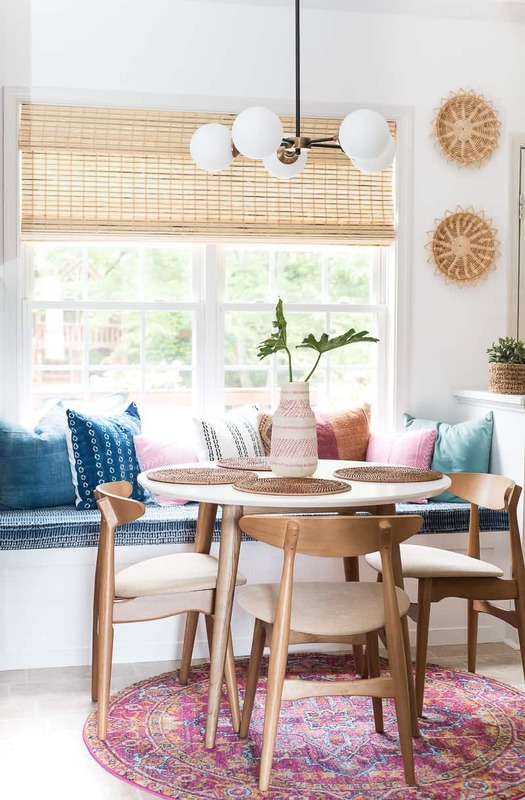 This bright breakfast nook is in use more than it has ever been. I can’t tell you guys how much we adore this little space here. See more of this room HERE. Well, my friends! It was a quick tour this time, but I hope you enjoyed it! Be sure to visit my talented bloggy friends for more inspiration! i always love your home and style, aniko! 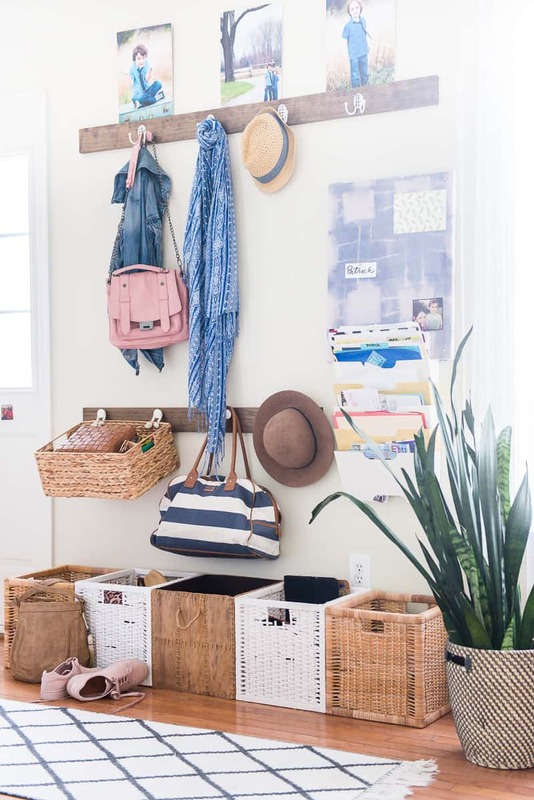 if i could have another blogger decorate my house, i would choose you. so if you are bored…. 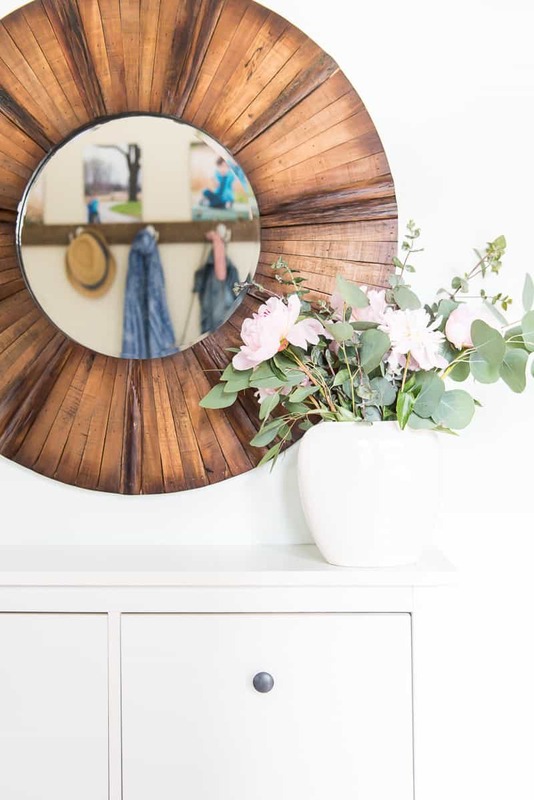 Aniko you truly know how to mix and match color tones with just the right amount of white and wood. Heaven on the eyes! Simply gorgeous, as usual Aniko! I just love your tours! All that colour! 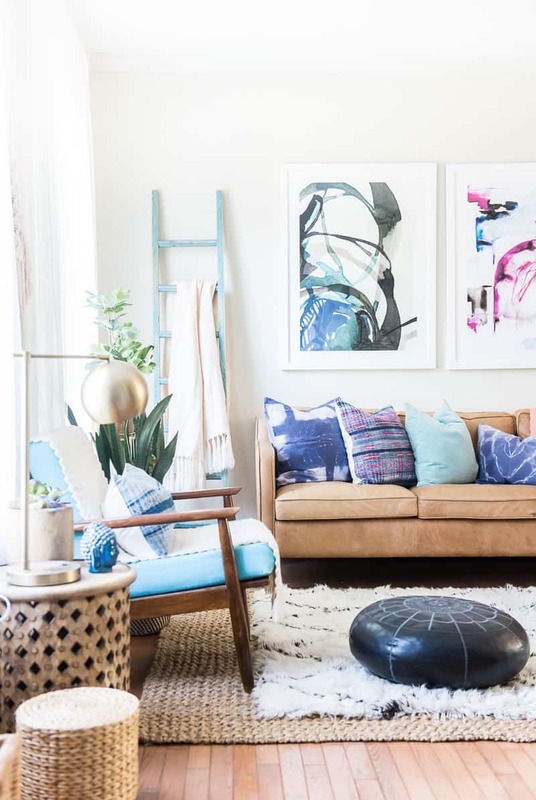 And such a fun, eclectic boho feel. Fantastic, Aniko!! Thanks for the early morning eye candy. Have a fabulous weekend, friend! I love all your colors and tones! So lovely and fresh for summer. 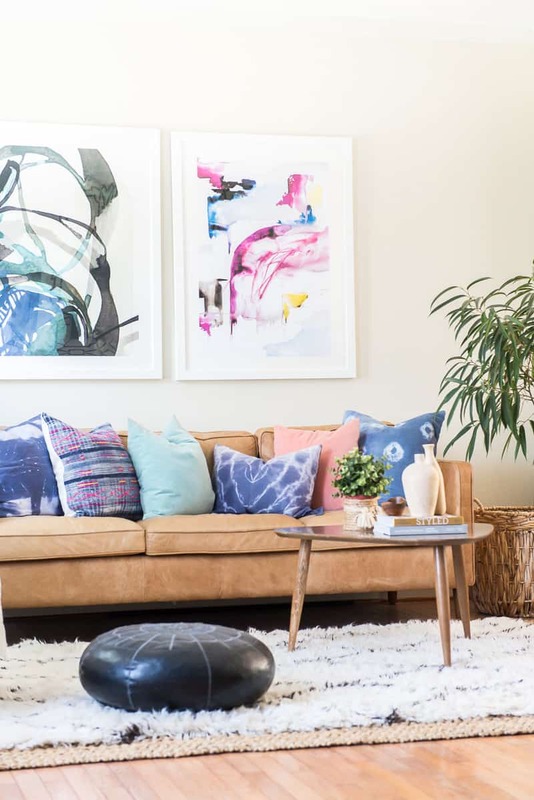 Love the family friendly, casual, global vibe of your home. I’m going to try shibori this summer when I get a few creative minutes to come together at the same time! Thanks for sharing. Love your style, Aniko – and love your fun use of color!